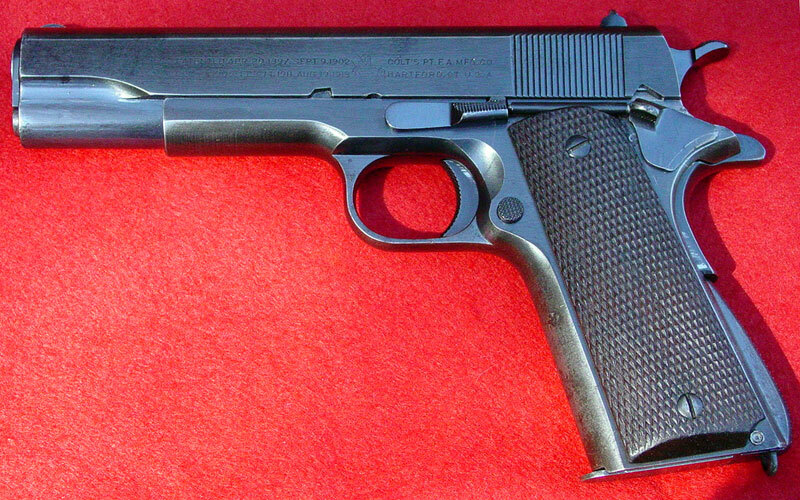 Colt Model 1911A1 S/N 710968 1937 Navy Contract - This is one of 2,349 pistols produced in the 1937 Navy contract. It was in a shipment of 500 pistols shipped on March 18, 1937 to the Commanding Officer, Springfield Armory. There is no P proof on top of the slide forward of the rear sight. 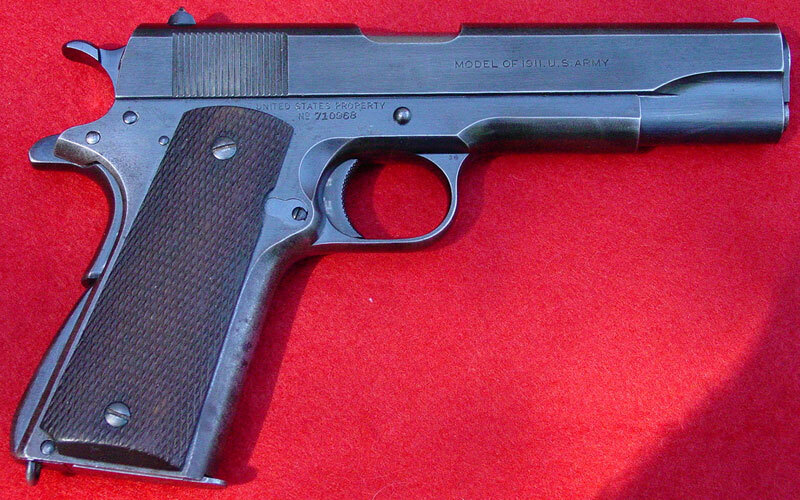 Left side of Colt 1911A1 1937 Navy serial number 710968.